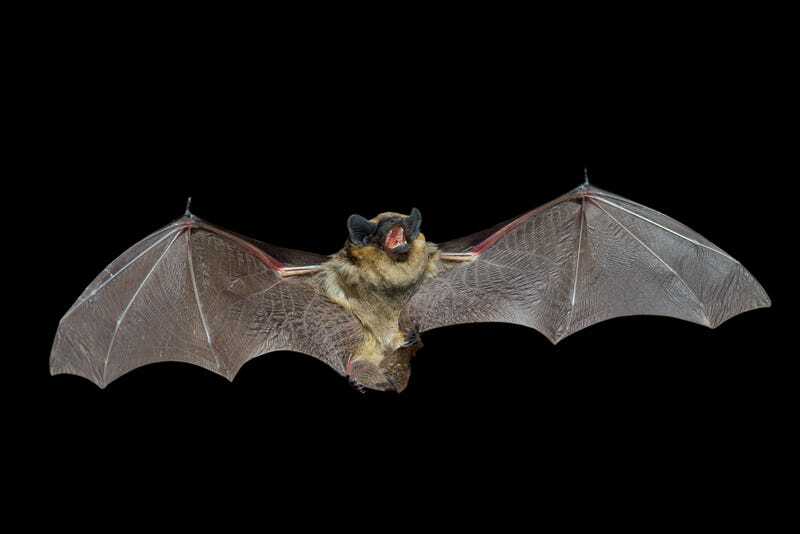 Granted, the 19-year-old man was bitten in Mexico and died during a trip to Louisiana –-and he died from the rabies virus the bat gave him— but it was still at the hands (wings?) of a vampire bat. And what do you do when a vampire bat kills a man? You call Gerald Carter, "an expert on vampire bat behavior," so he can give you nightmares. "The common vampire bat feeds on large animals, such as cows and horses. Occasionally people get bitten when they sleep out in the open or near cattle," Carter said. "The bite itself is a tiny little wound, often on the toe; people often have trouble finding the wound, and notice it only because they wake up with bloody sheets. The bat takes only a tablespoon of blood, but the wound can bleed a bunch, at least for its size, because the bat's saliva has an anticoagulant in it." I'll leave it up to you to generate a series of hilarious Twilight jokes.